I once wrote about Cinderella, the sep stisty uglers, and her prandsome hince. In the spirit of last Tuesday's April Fools’ Day, once again, a friend sent me another Cinderella story which I share now. After a fulfilling life with her beloved but now dead prince, Cinderella sat in her rocking chair accompanied by her cat named Bob, watching the world go by from her nursing home porch. One sunny afternoon out of nowhere appeared the fairy godmother in a flash of light. Instantly, her rocking chair turned into solid gold. At once, her wish became reality, and her loveliness returned. Cinderella felt stirrings deep inside of her that had lain dormant for years. Magically, Bob suddenly underwent so fundamental a change in his biological make-up that, when he stood before her, he was a man so beautiful, the likes of him neither she nor the world had ever seen. The fairy godmother said, “Congratulations, Cinderella, enjoy your new life.” With a bright blue flash, the fairy godmother was gone as suddenly as she appeared. For a few eerie moments, Bob and Cinderella looked into each other’s eyes. 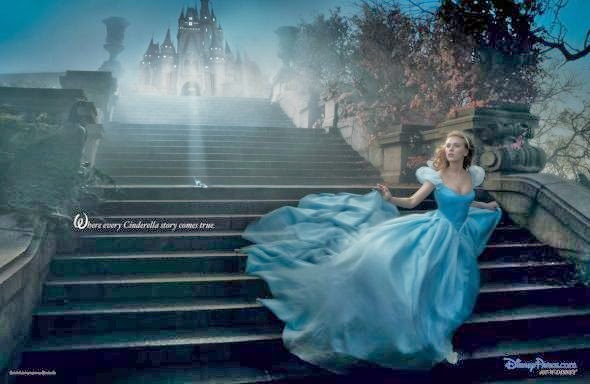 Cinderella sat breathless, gazing at the most beautiful, stunningly perfect man she had ever seen. And that concludes this year’s story of Cinderella. Leigh,that Cinderella joke is older than I am, but we appreciate your effort. I am emailing you the best Cinderella joke ever! A good way to start a spring day! First time I ever read a Cinderella joke, and I like it. Thanks for making me laugh, Leigh! Fran, that's a bad… er, a good joke! Jane has been telling dirties again! Janice, Louis, and Vicki, thank you! My excuse is it would be a crime not to laugh once in a while. To be knappy forever I how"
I've heard it before, but it makes me LOL every time! Thanks again! This brings back memories. My ex-brother-in-law did a skit on a talent show in the fifties using Cinderella. Some of the funnier lines. He didn't win. None of the judges understood him. Eve, I hadn't heard of that before, but what a great plot! Hershel, that's funny. You might recognize some of this. very similar to his. I think he ended it with "they happed lividly ever after." Leigh, I'm sorry to chime in so late; been getting things arranged in the new household. Great post. I had NOT heard it before, and laughed my head off.